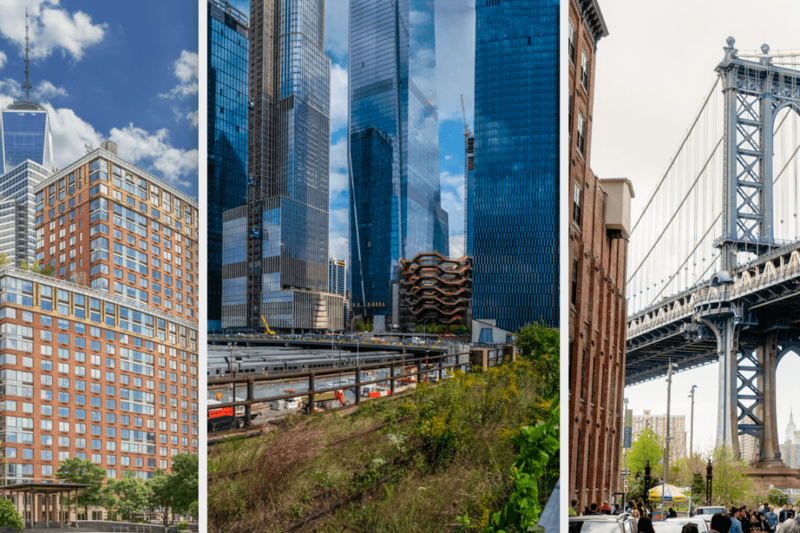 Hudson Yards is a glamorous take on planned communities like Battery Park City and DUMBO. The gleaming new development of Hudson Yards has drawn comparisons with Battery Park City, not so much for its futuristic design or the funding behind it, but as a planned neighborhood with views of the Hudson River that is both a part of Manhattan and separate from it. It is planned in the sense that it has been mapped out according to a master plan rather than having grown organically. The similarities are not absolute, of course: Hudson Yards is a private venture while Battery Park City is operated by a public authority involving much more government oversight. In fact, in many ways, Hudson Yards is more closely related to recently rezoned areas like Dumbo, the Brooklyn neighborhood developed by David Walentas and his Two Trees Management firm with its emphasis on upscale residential and commercial units and access to the arts. Where Dumbo has St Anne’s Warehouse, Hudson Yards has The Shed. 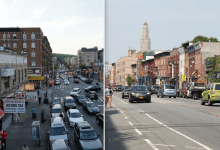 If you’re thinking of buying in a planned neighborhood like Hudson Yards, it’s worth digging into the history of other similar neighborhoods and considering some of the risks of new developments, the legal precedents, what type of community is being created and what the master plan for the area looks like. Like Battery Park City, a mixed-use neighborhood on the edge of western Manhattan, Hudson Yards is carefully curated, albeit under very different circumstances. The construction of Battery Park City—on reclaimed land dug during the building of the World Trade Center—took more than 40 years and spanned several design iterations throughout the 70s. Hudson Yards hasn't had the input of multiple developers but relies on the partnership between Related and Oxford Properties and has grown into the Manhattan skyline in half that time, although construction is far from over. Steve Wagner, real estate attorney at Wagner Berkow & Brandt (FYI, a Brick sponsor), was involved in a battle over the legality of leasehold condos in Battery Park City in the 80s. Some developers structured the common charges to rise steeply after five years and buyers were caught off guard by the cost increase. You won't find leasehold condos in Hudson Yards, however, it is important to pay attention to the fine print. Wagner points out there are rules on how long sponsors can be in control of boards. He says "control and management of the condos is always an issue. It might be hard to get rid of the developers." Buying in Hudson Yards is ''owning a piece of history" says Khashy Eyn, CEO of Platinum Properties. A new neighborhood, like any newly rezoned area, inevitably has new development and buying in brand new buildings involves some uncertainty. As a buyer, you don't know if all the units will sell or whether the building will be completed on time. Construction issues are also a consideration. 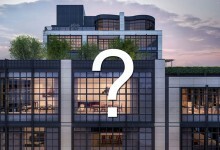 There are plenty of crucial questions you will want to ask when buying new construction including whether the buildings will have retail, whether financing is allowed or what happens if the units aren't completed by the scheduled date. Wagner points out construction at Hudson Yards is on a platform over train yards. While this is nothing new—it was a technique used in the building of Brooklyn's Bay Ridge Towers in the '70s—how the buildings are constructed is not something you will see disclosed in detail in an offering plan. "They don’t have to disclose how the construction is being performed, only that they are building on a platform. The construction isn't something the Attorney General's office oversees or requires detailed disclosure on, except a general description of the site and that it will comply with the law," Wagner says. It's likely monthly carrying charges will be higher for apartments in planned neighborhoods, says real estate attorney Adam Stone. That’s because community parks and civic associations often require condo buildings in these areas to contribute their share of maintenance. “This would be reflected in the building’s budget and therefore each apartment’s common charges,” Stone says. Two-bedroom units at 15 Hudson Yards are selling upwards of $4,000,000. "The prices are very high," says Wagner but he points out there's a finite amount of space which, means the units will probably hold their value or go up over time. "They’ve extended the subway, they have The Shed, which provides a cultural center and events. There are nice restaurants. I think it's going to be a successful community," he says. 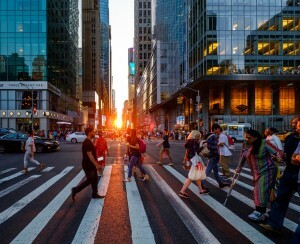 Hudson Yards is coming to the market at a time when there's an oversupply of luxury inventory. 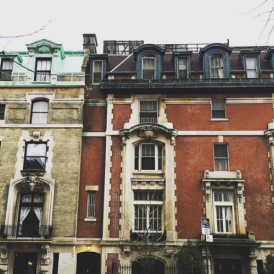 The number of first-quarter sales just hit the lowest level in a decade according to Douglas Elliman's first quarter Manhattan Market Report. 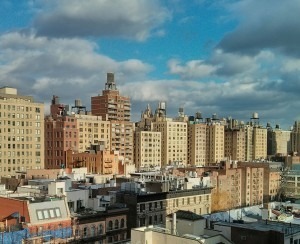 Sales at condo projects along the High Line have slowed in line with this trend. Only half the apartments at Related's Zaha Hadid-designed building on the High Line had been sold as of March, according to Crain's. This could be telling for sales at Hudson Yards. 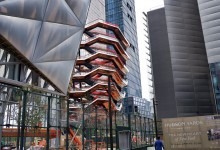 Eyn is confident in the area's success and compares a purchase at Hudson Yards to buying the work of an emerging artist. He says Hudson Yards is "one of a kind" and if buyers hold onto the units long enough, he sees them making a "significant return."